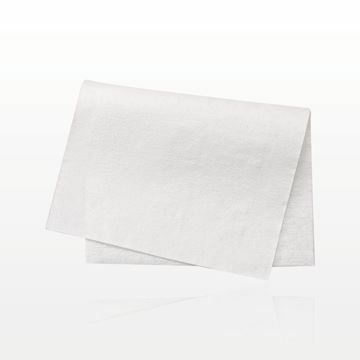 Maintain hygienic practices during various spa treatments with these white disposable bedsheets on a roll with perforations for easy detachment. 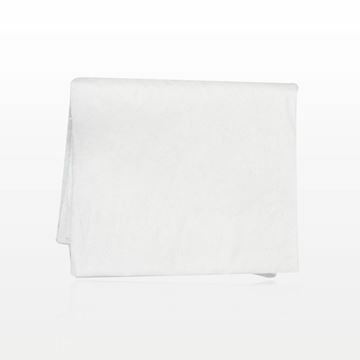 Maintain hygienic salon and spa practices with this disposable white towel made from 2 ply tissue. 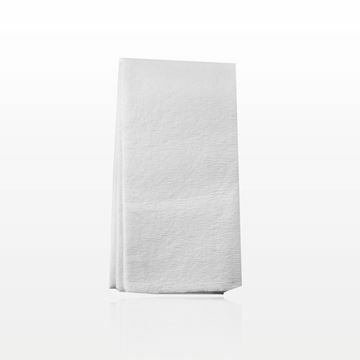 Maintain hygienic practices during various spa treatments with this viscose and polyester disposable hand towel. Great for cleansing during facials, manicures, pedicures, paraffin treatments and other spa treatments. 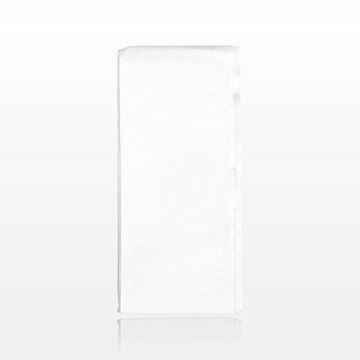 This hand towel can also be used as a disposable face rest cover, tray cover, foot towel or table towel. 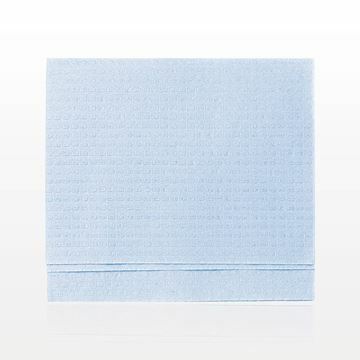 Maintain hygienic practices during various spa treatments with this viscose and polyester disposable wash cloth. Great for cleansing during facials, manicures, pedicures, paraffin treatments and other spa treatments. 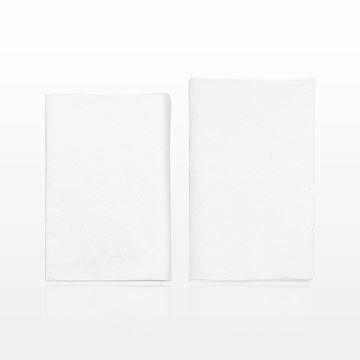 This wash cloth can also be used as a disposable face rest cover, tray cover, foot towel or table towel. 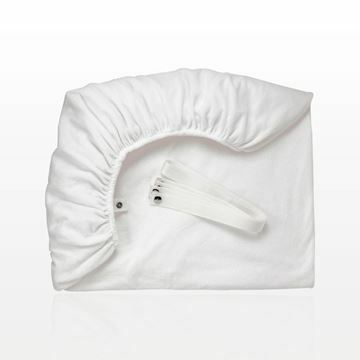 Protect your spa or massage table with this disposable face cradle cover. 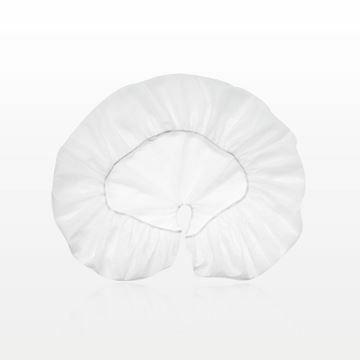 The cover provides a comfortable and sanitary place for your clients to rest their faces, eliminating cross contamination. 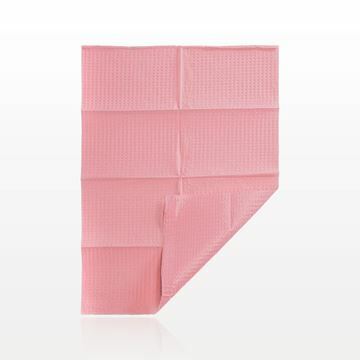 Made of soft, non-woven polypropylene that is gentle to the skin, the cover has an elastic band that holds it in place. Being disposable eliminates the time and expense of laundering, and offers a clean cover each and every time. 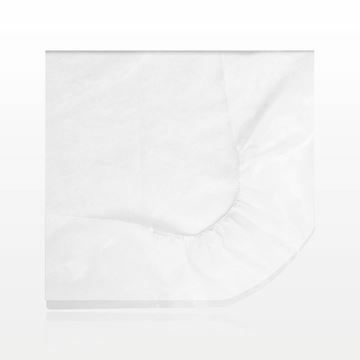 Provide comfort during facials with this washable white cotton fitted bed cover. 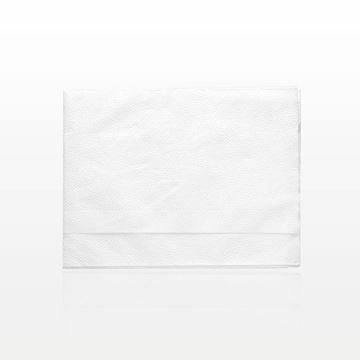 Maintain an hygienic environment during skin care and massage treatments with this standard 76 inch x 36 inch x 6 inch non-woven polypropylene disposable white fitted sheet. Featuring a soft absorbent material on one side with a plastic backing on the other, lint-free HandsDown® Ultra Poly-Backed Nail Towels are perfect for manicures and pedicures, and are durable enough for wiping and cleaning brushes. 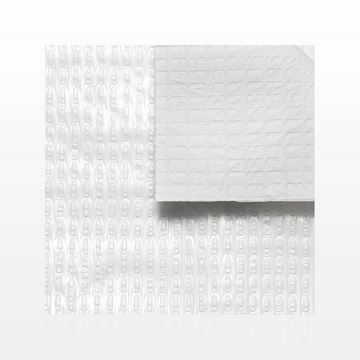 Beauty professionals can maintain a hygienic working environment with this 1 Ply Tissue, 1 Ply Polyethylene disposable dental bib by Graham Medical. The protective backing makes it the perfect liner or mat for work stations. 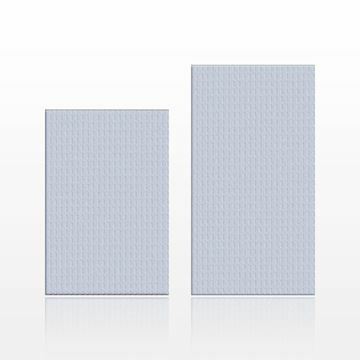 This perforated disposable table cover roll is perfect for spa treatment rooms. Soft tissue is bonded to a moisture resistant polyethylene bottom layer . The 125 feet long roll has tear off perforation every 18 inches. Tear off the correct length you need for a fresh hygienic surface every time. 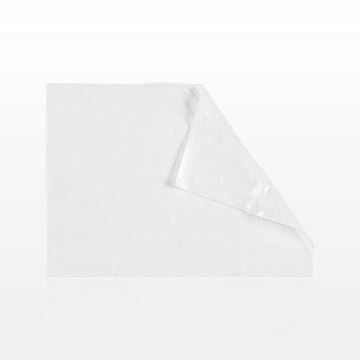 Maintain hygienic practices during spa treatments with this white disposable bed sheet. 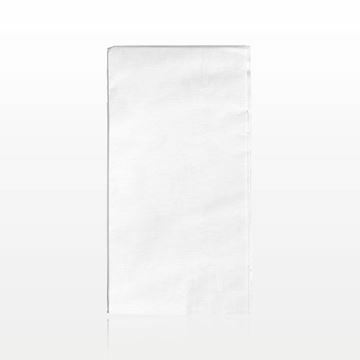 Our white opaque disposable drape/blanket is made of 2 ply soft tissue and is large enough to comfortably cover your clients. 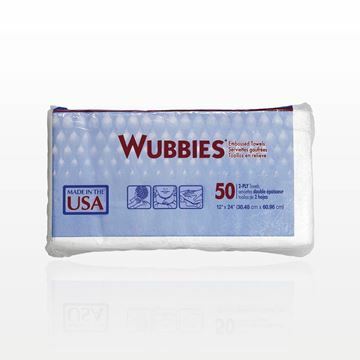 Beauty professionals can maintain a hygienic work environment with these all-purpose 2-ply Wubbies® Embossed disposable salon towels. 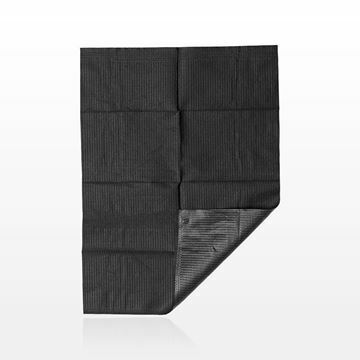 Absorbent and durable, they make the perfect liner or protective mat for work stations and can be used for cleanup. 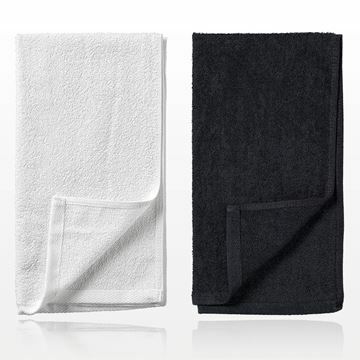 These towels can also be utilized during hair color/treatments to protect your client’s skin or clothes. Made in the USA. Beauty professionals can maintain a hygienic working environment with this 2 Ply Tissue, 1 Ply Polyethylene disposable dental bib. The protective backing makes it the perfect liner or mat for work stations. 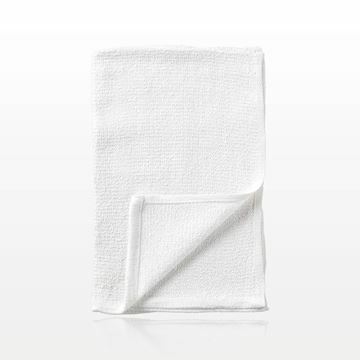 Within our comprehensive linen collection, we offer bulk towels in soft, absorbent materials for spas, salons and fitness centers. 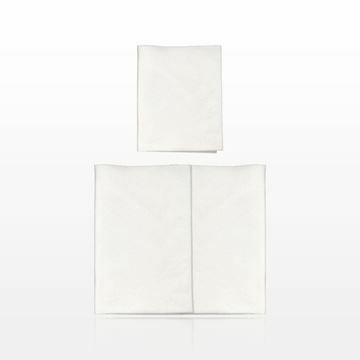 Our linen selection includes both disposable and washable products for enhanced client comfort. 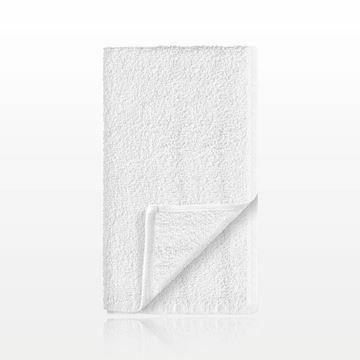 The washable spa towels are specially designed to deliver soft textures with commercial durability. Our wholesale salon towels are available individually and in bulk. The disposable towels provide convenience and sanitation. They feature absorbent materials and can be ordered by the case. Our disposable linen selection also includes massage table covers, drapes, sheets and other products that promote hygienic practices and reduce laundry demands. Some of our single-use products, such as non-woven polypropylene sheets and tissue table covers, have a broad application range. The wholesale bed sheets and table covers work well from the spa to the medical office. They provide an economical, sanitary method of protecting clients and furnishings. Remember, we make ordering bulk linens and spa apparel fast and simple with easy online checkout and multiple payment options. Spas need high quality products to enhance the customer experience. 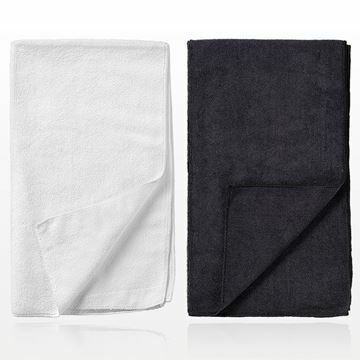 Our absorbent, luxury washable spa towels pamper the client and are available in a variety of colors. Many of our disposable products also provide a gentle touch. For example, a disposable fitted sheet or cradle cover gives a client a soft, clean place to relax their face. Your business does not have to sacrifice client pampering by choosing single-use linens. A disposable bed cover is ideal during a facial, a table cover offers comfortable massage protection, and drapes shield clients effectively. From spa wraps to salon towels, Qosmedix supplies the best in wholesale linens to businesses every day.